12th pass candidates with Typing Speed of 30 words per minutes in English and 25 words per minutes in Hindi. 10th pass candidates (OR) ITI pass can also apply. 12th pass applicants and have proficiency in shorthand with a speed of 80 w.p.m. Those who have passed in the 12th class examination and have proficiency in shorthand with a speed of 100 w.p.m. and 2 years’ experience as Stenographer and Knowledge of Computer operation can apply for these job profiles. 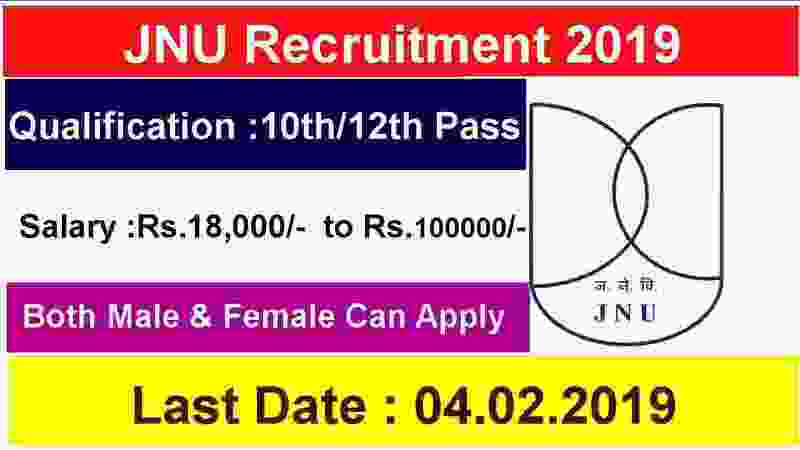 Age Criteria: Age of the applicants must be less than 35 years for applying this JNU Recruitment 2019. 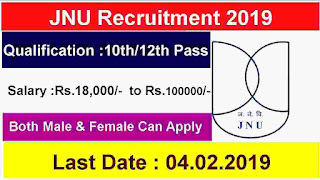 The eligible and interested persons may apply online at the University website www.jnu.ac.in/career/ for this JNU Recruitment process 2019. Job applications related to this recruitment procedure through any other mode, except online, will not be accepted by department. The candidates who are eligible and going to apply online have to upload photograph, signature, self-attested copies of essential qualification, experience, date of birth, caste/PwD certificate, NOC from the present employer, etc. Incomplete application forms shall be summarily rejected and no correspondence in this regard shall be entertained. Candidates can apply online up to 4th Feb. 2019 after that the online link for applying will be disable. So apply now without waiting for the last date. 4th Feb. 2019 is the Last Date to apply.